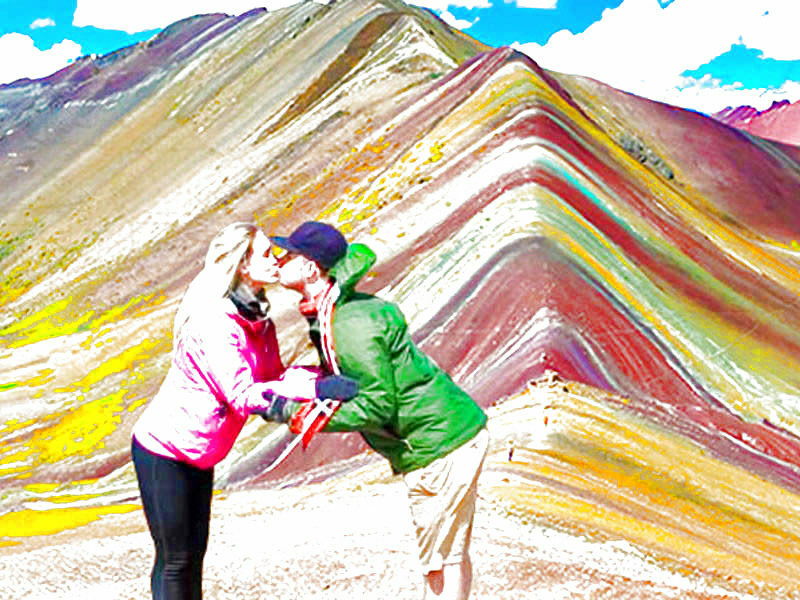 Experience a walk until you reach the "Mountain of 7 colors", also known as "Montaña ArcoIris", "Cerro Colorado". 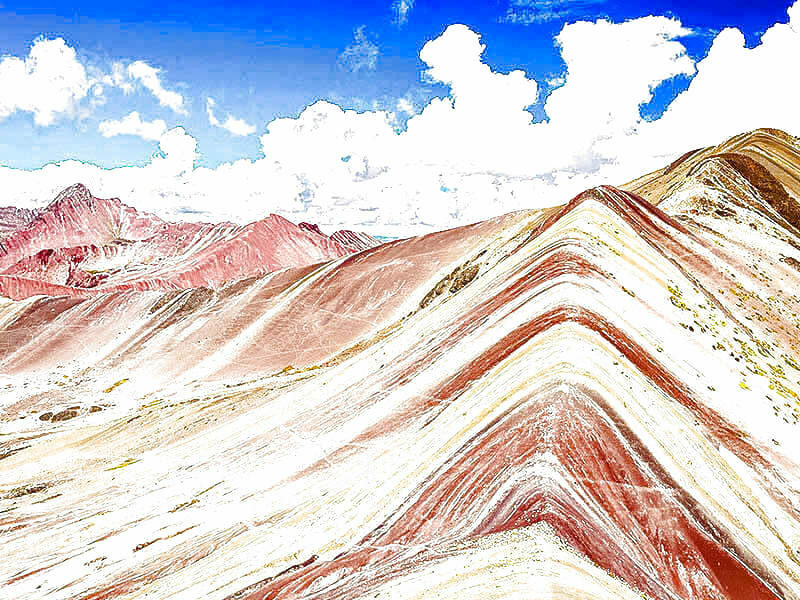 Ausangate is the fifth highest mountain in Peru. 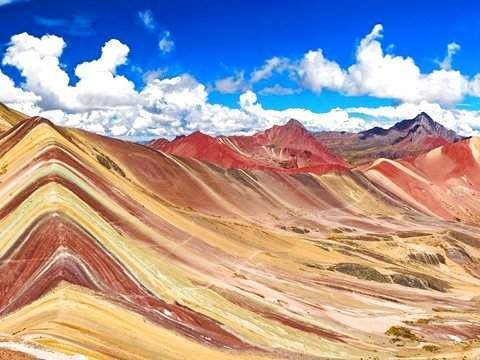 With its 6,384 meters of height, for centuries it has received many names: "The Roof of the Inca Capital", "Vinicunca" (Hill of Colors), etc. Guardian of the Cusco region, located in the district of Pitumarca, province of Canchis, Cusco region, in southern Peru. 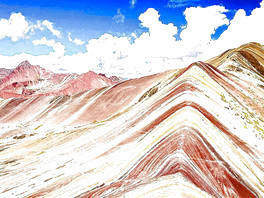 Ausangate is considered the most important mountain of the Andean cosmovision. Total Walk Distance: 10 km. approximately. Departure from Cusco to Qollasuyo, the ancient road of the Quechuas, an important part of all Tawantinsuyo (4 regions of the Incas). 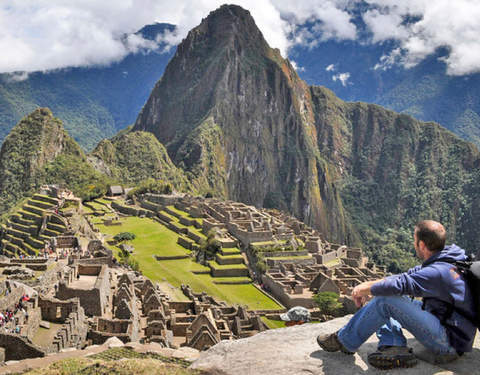 We will arrive at Checacupe and then arrive at the town of Pitumarca where the history of the first rebels began challenging Pachacuteq (the main Inca of that time). 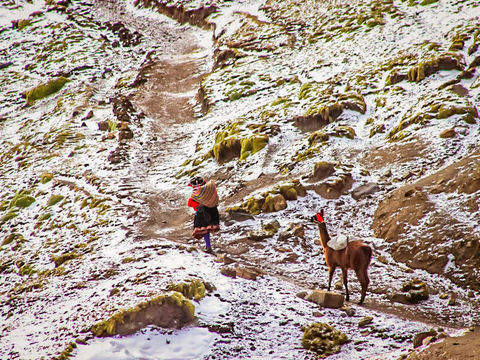 Then we will pass through beautiful landscapes and valleys arriving at the native village of Japura, Hachipacha, inhabited by Quechua natives to finally reach Quechuyno. Here we will take our respective breakfast. 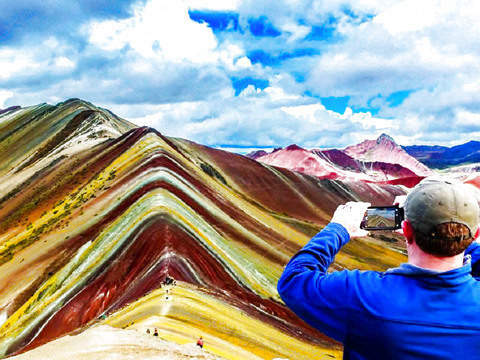 Then we will walk passing beautiful landscapes, lagoons where South American camelids (alpacas, llamas, vicuñas, puma, Andean birds and condor, etc.) 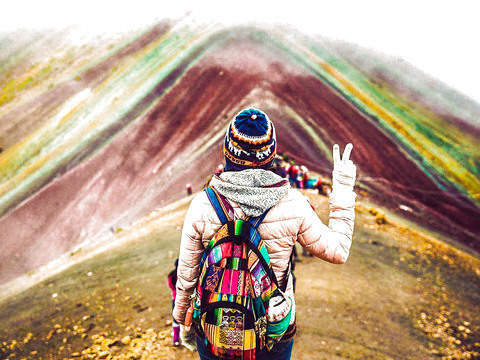 begin, beginning our 3-hour walk to the village of Vinincunca - Passo (5,200 masl) where we will observe the impressive view of the mountain of colors with the beautiful sunrise, showing its best and imposing valley with magical colors that only exists in this place in Peru. 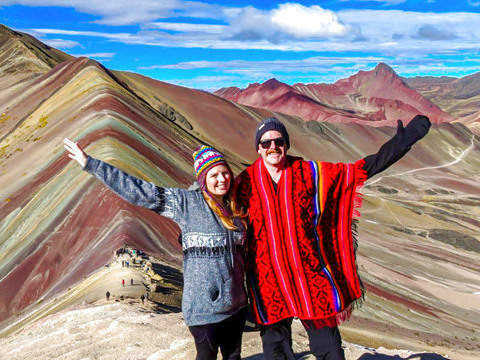 Around we will also observe the Ausangate Hill, which is the highest mountain in the city of Cusco with a height of 6,372 meters above sea level. 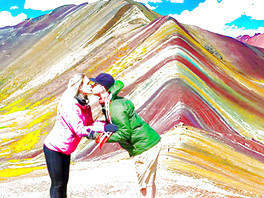 After some time to take your pictures, we will return to the town of Hachipacha. 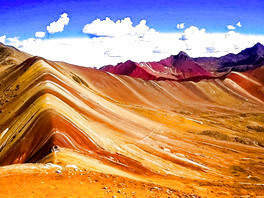 Here we will take our buffet lunch and then head back to Cusco. 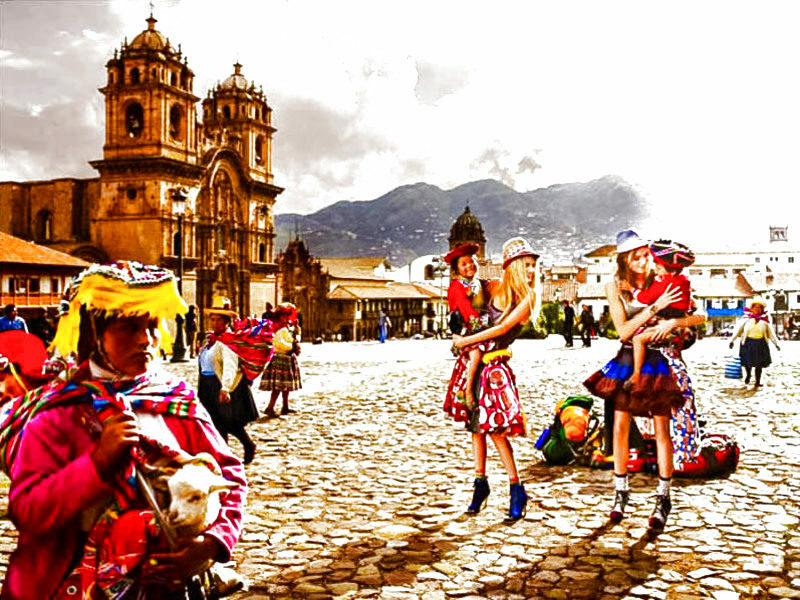 Pick up from your respective accommodation in the city of Cusco. 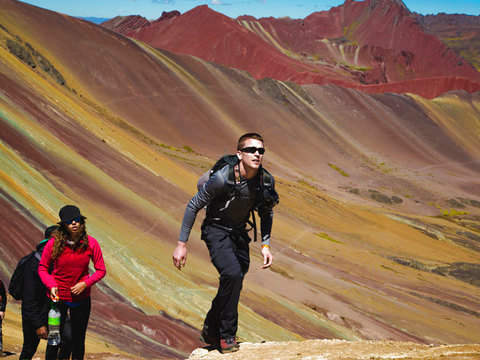 Official Tourism Guide (Spanish / English). Meals: 1 Continental breakfast + 1 Buffet lunch. 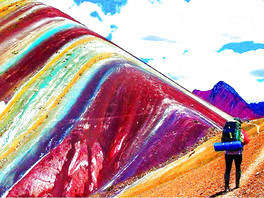 Entrance ticket to the Mountain of 7 colors. Oxygen balloon in case of emergencies. Horse Rent (optional) - You can hire it at the beginning of our walk, if you wish. Other foods, snacks and drinks. 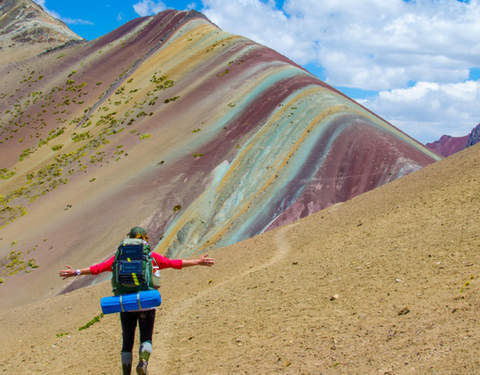 It is recommended to bring: Trekking shoes, small backpack 20L or 30L, rain poncho, dry Fit T-shirts, 1 trekking pants, warm jacket, coca leaves, cap, hat and gloves, sunscreen, toilet paper, sunglasses, bottle of water, personal medication (headache, anti-inflammatory drugs), extra money (preferably in soles). 4:30 a.m. to 6:30 p.m.